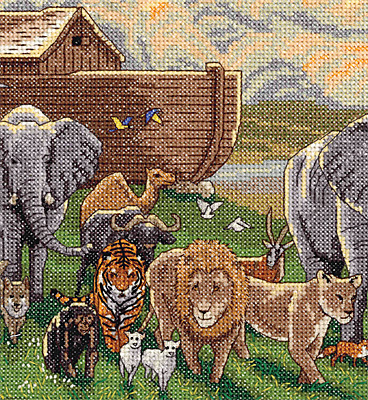 You will enjoy stitching this lush, highly detailed depiction of Noah's Ark. From the beautiful blended sky to the fine details on the lions to the patterns on the giraffes, this beautiful design will look wonderful in your dining or family room. Finished size: 11" x 25"